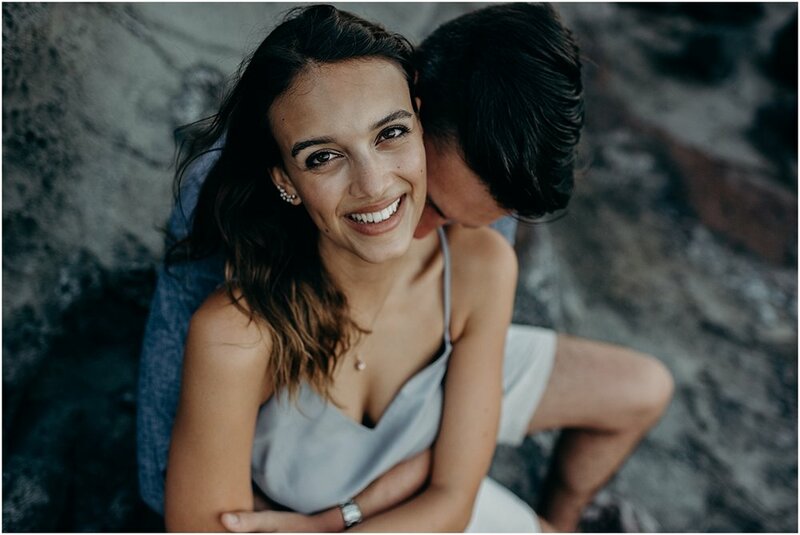 When Nicole contacted me I had such a good feeling about her. 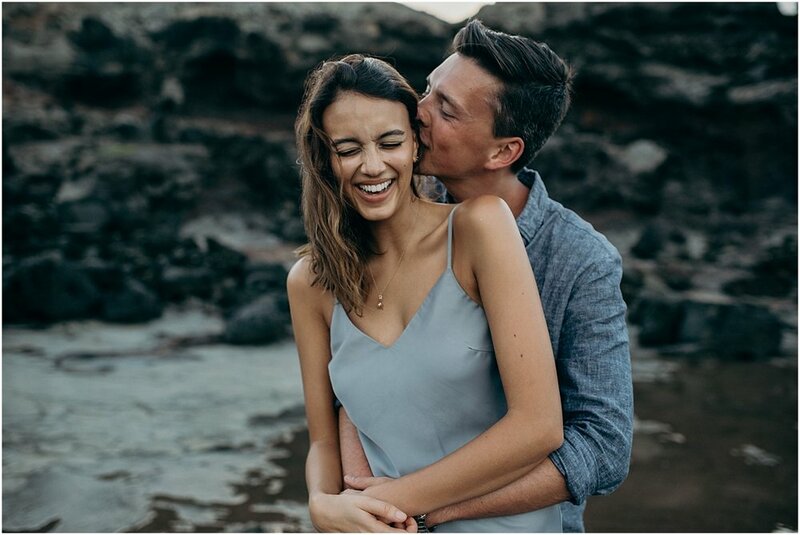 I just knew we were going to be a great fit. 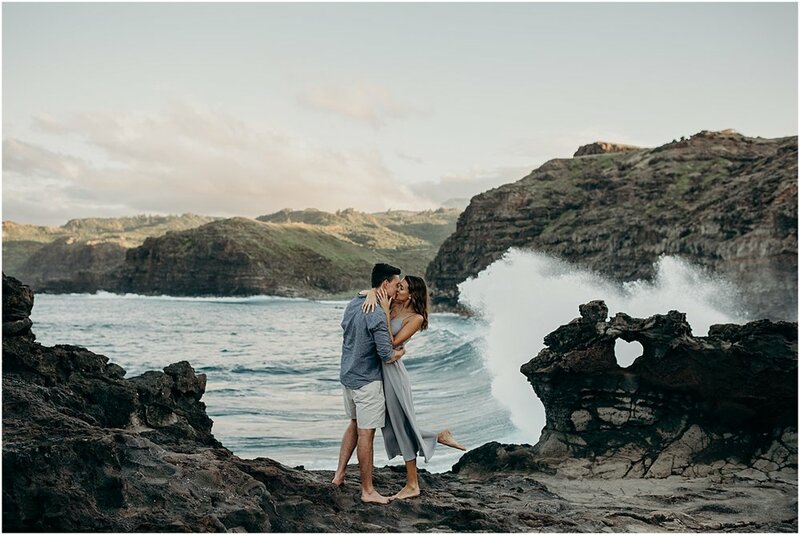 She wanted to surprise her boyfriend Travis and let him know she was ready to get hitched while they were vacationing in Hawaii. 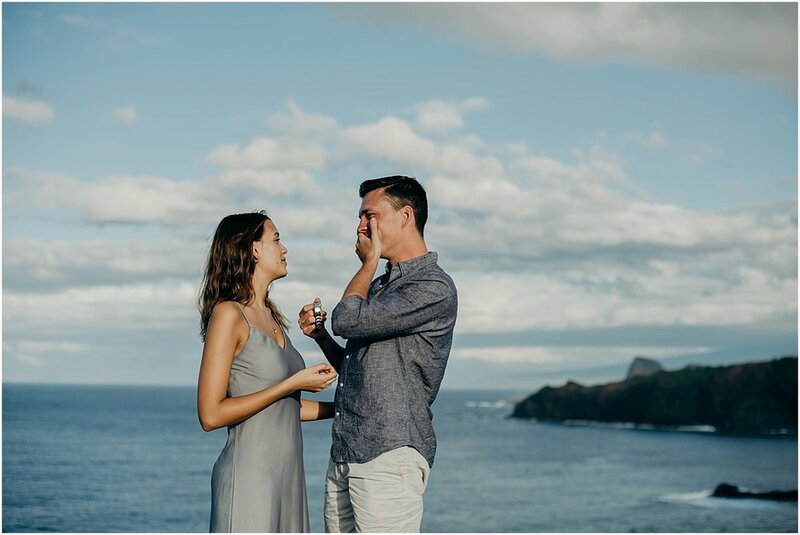 They had an agreement that she would let him know when she was ready. 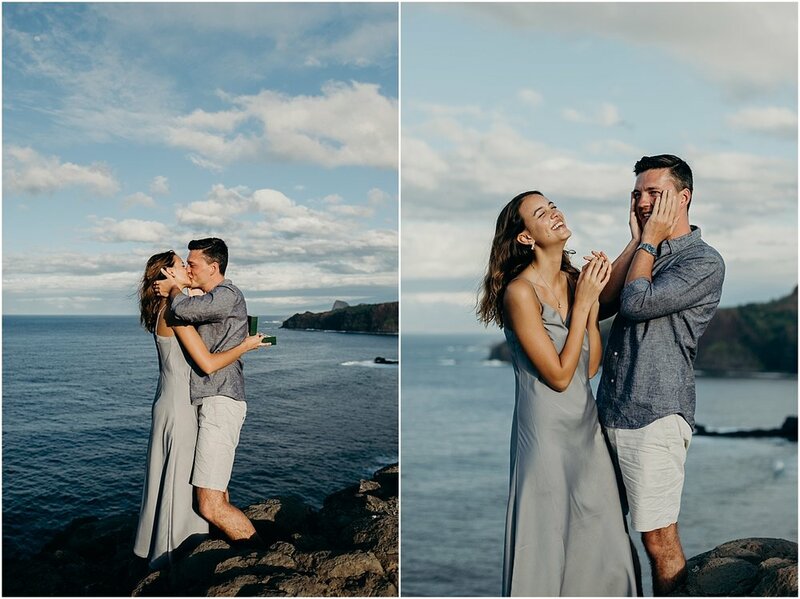 Soooo she decided to surprise him while they were vacationing on Maui! 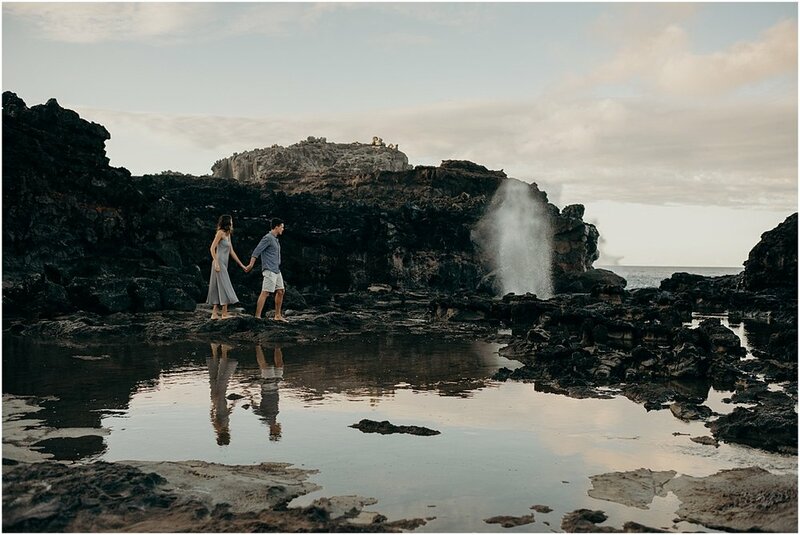 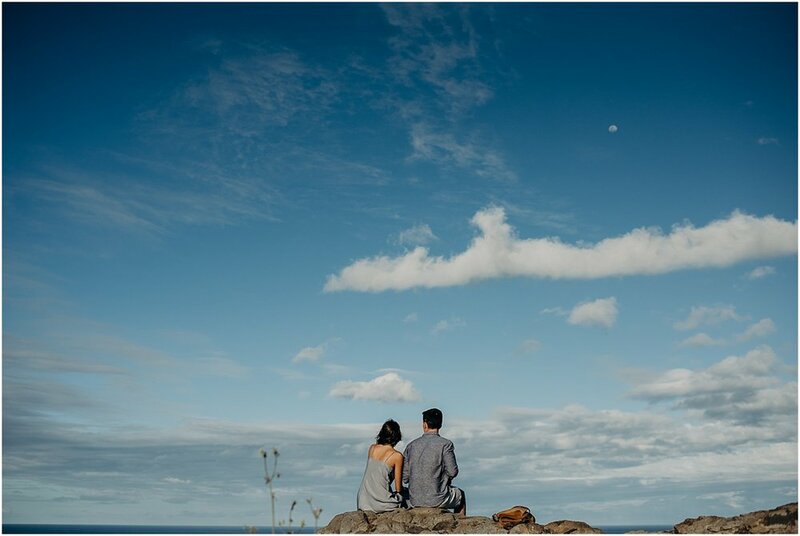 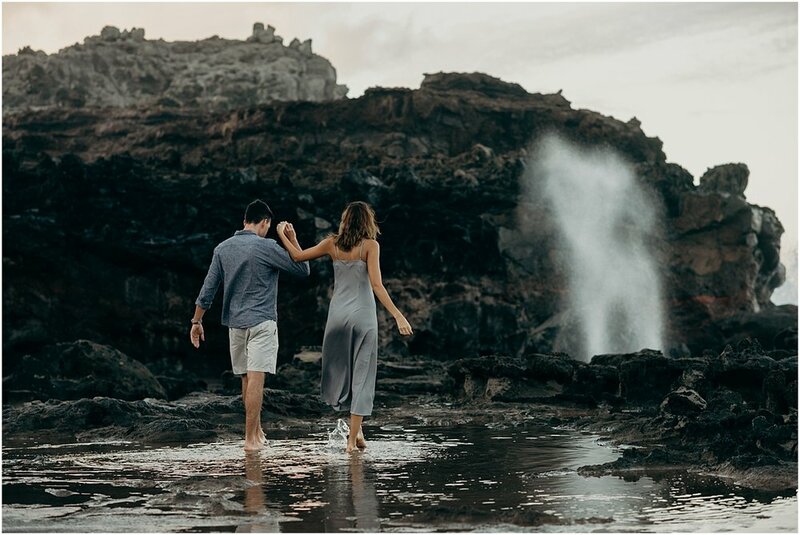 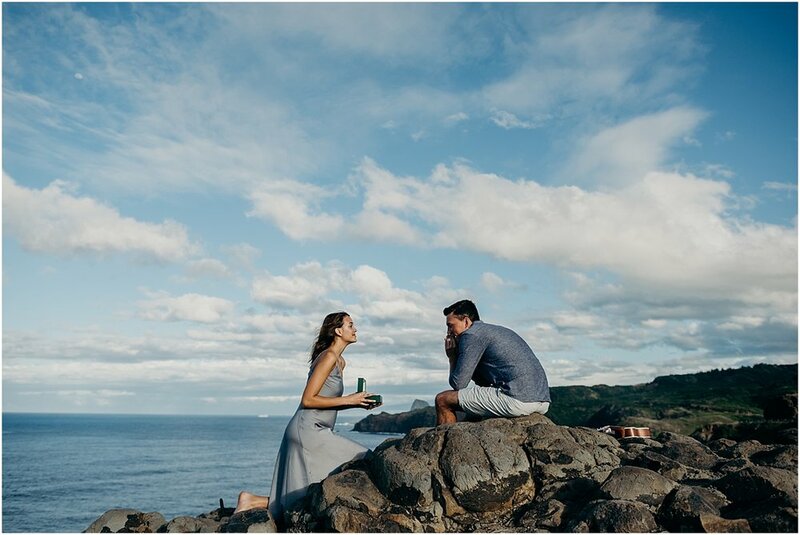 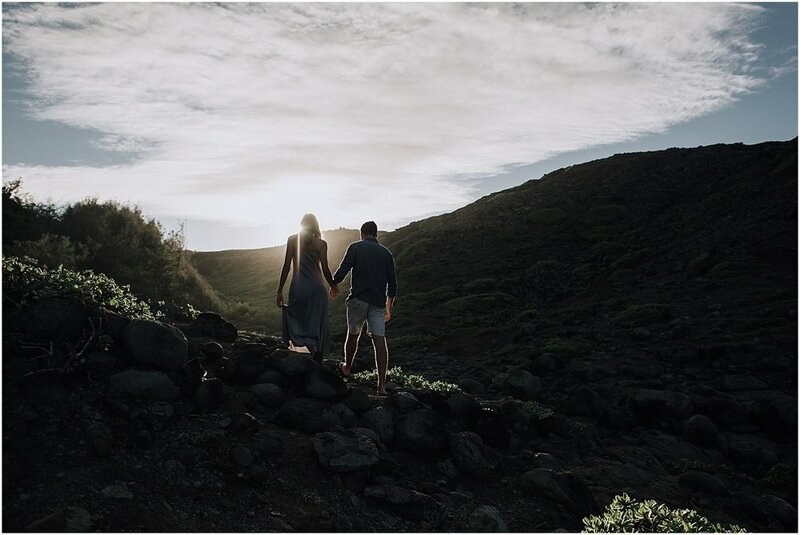 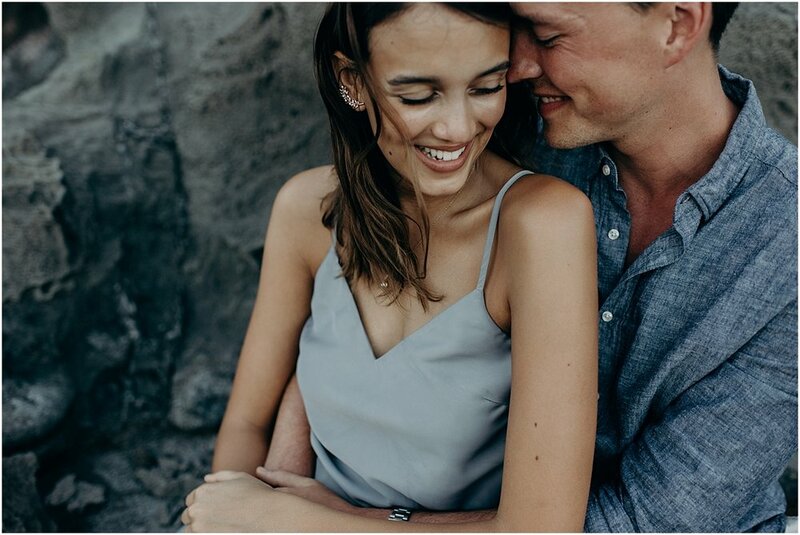 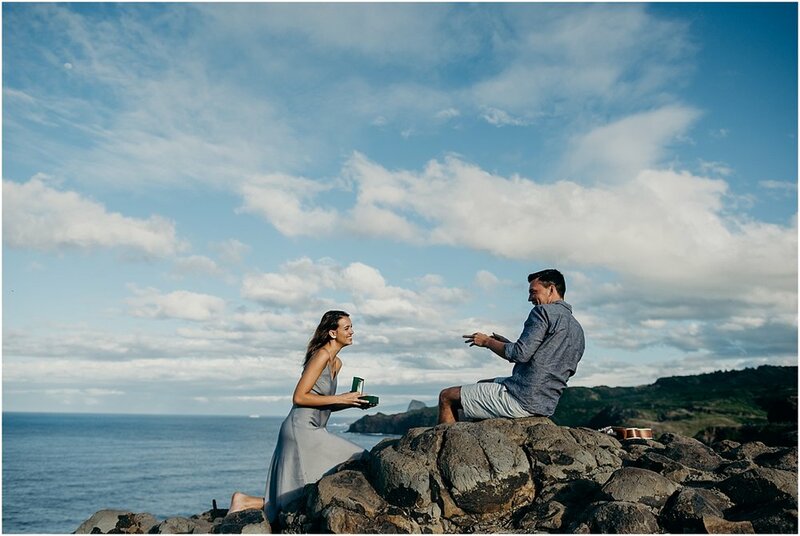 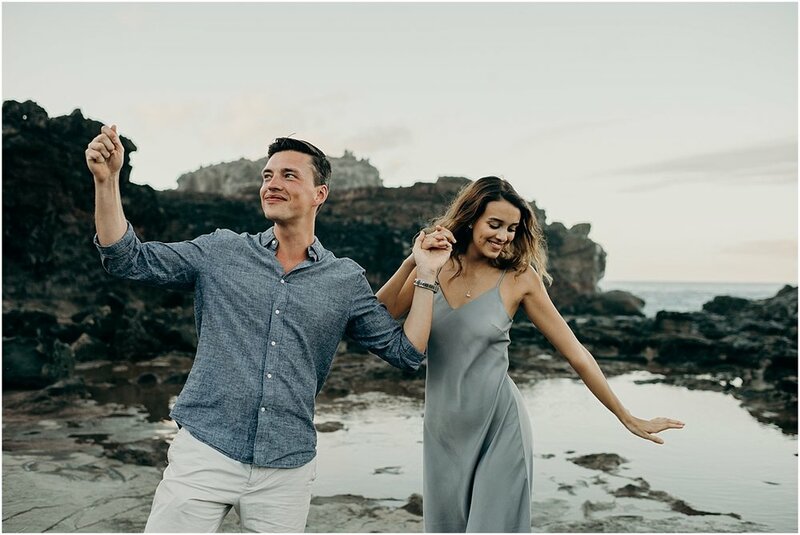 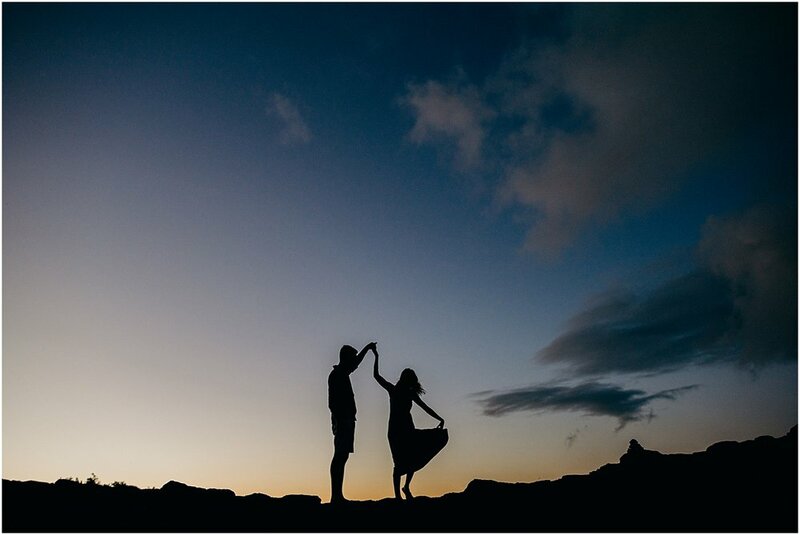 We had originally planned on doing the shoot at La Perouse Bay, but after they visited Nakalele Point she knew that was the spot to propose to Travis. 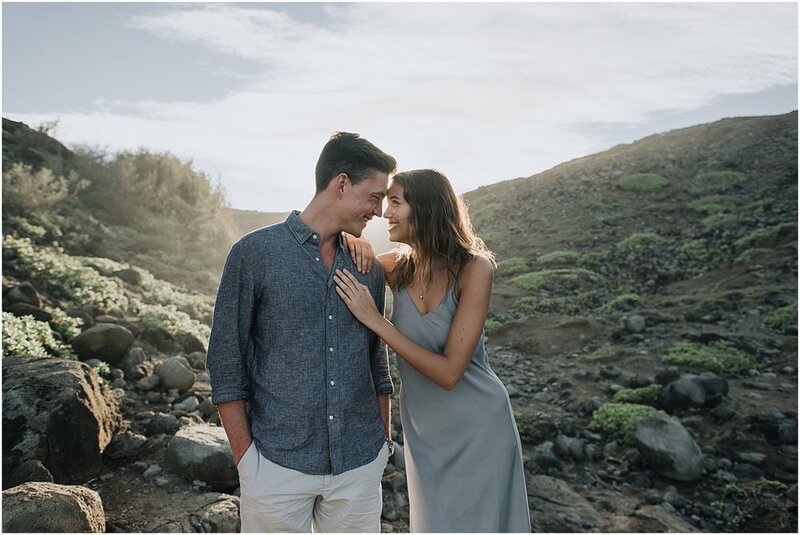 It's definitely a favorite of mine on Maui and is absolutely perfect for an adventure engagement session! 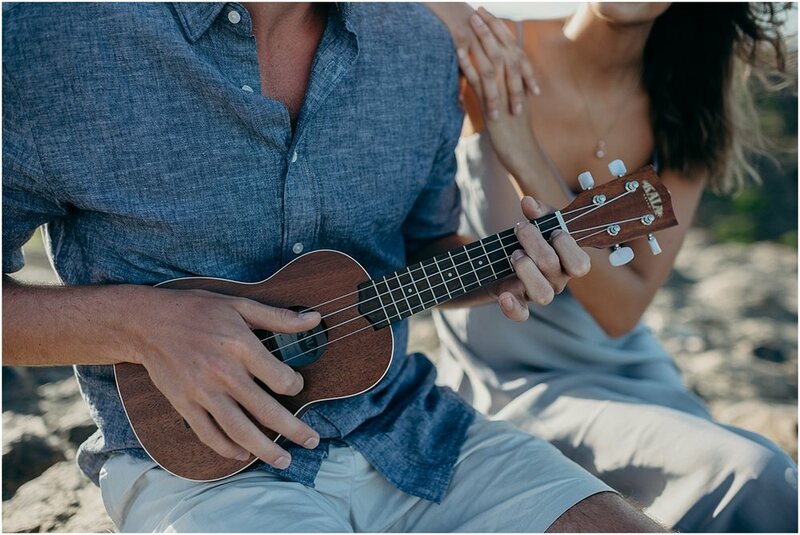 We started just chillin seaside while playing tunes on their ukuleles. 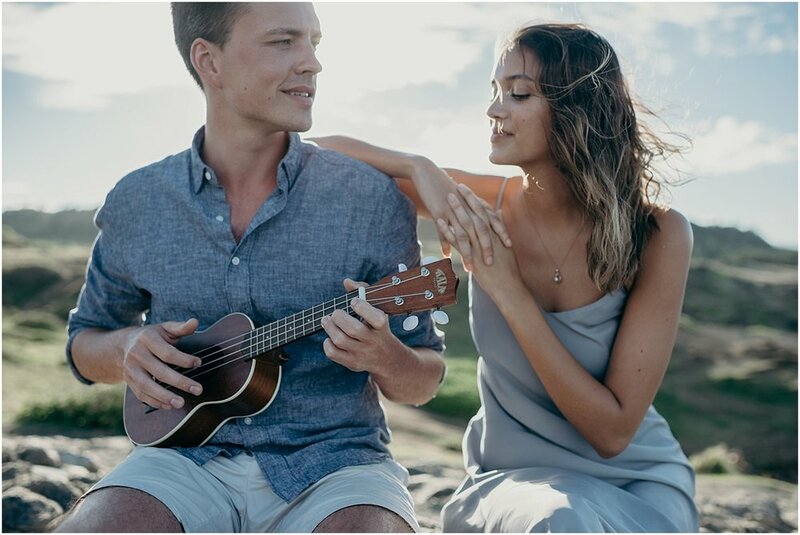 They're both incredible musicians. 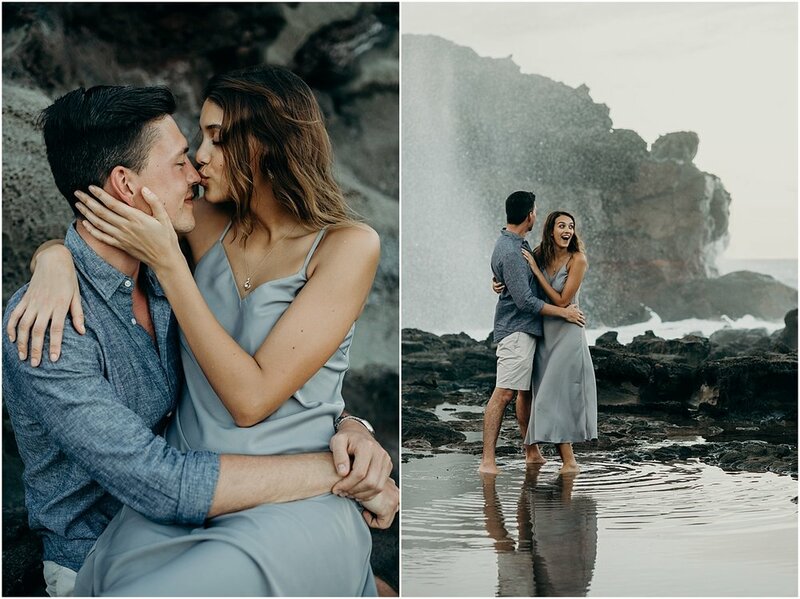 I could listen to their voices alllll dayyy and that's actually how she convinced Travis to do the shoot! 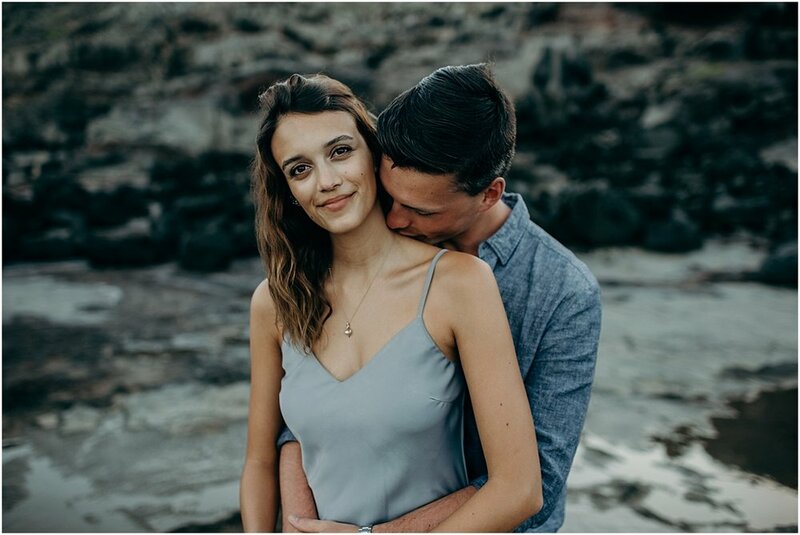 She told him that I wanted to use them as models so he had NO idea of what was really in store. 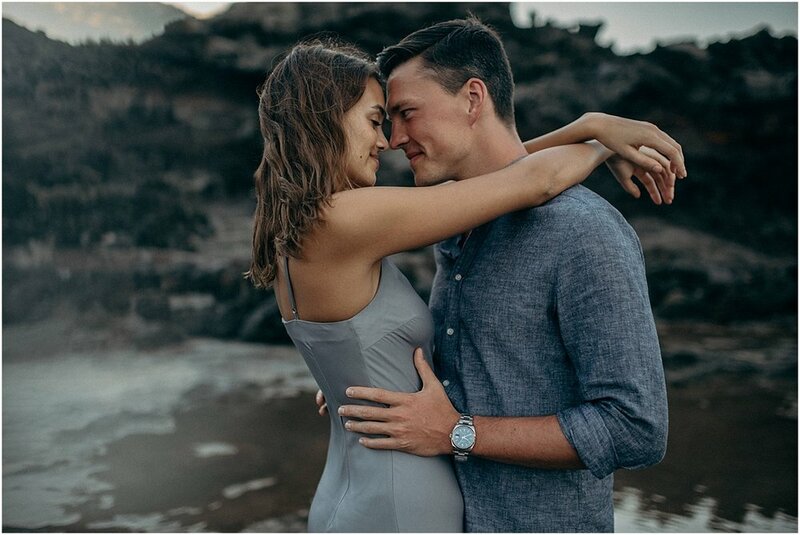 She wrote a special song for him that left us all in tears, got down on one knee and presented Travis with a watch that he has always admired from a far. 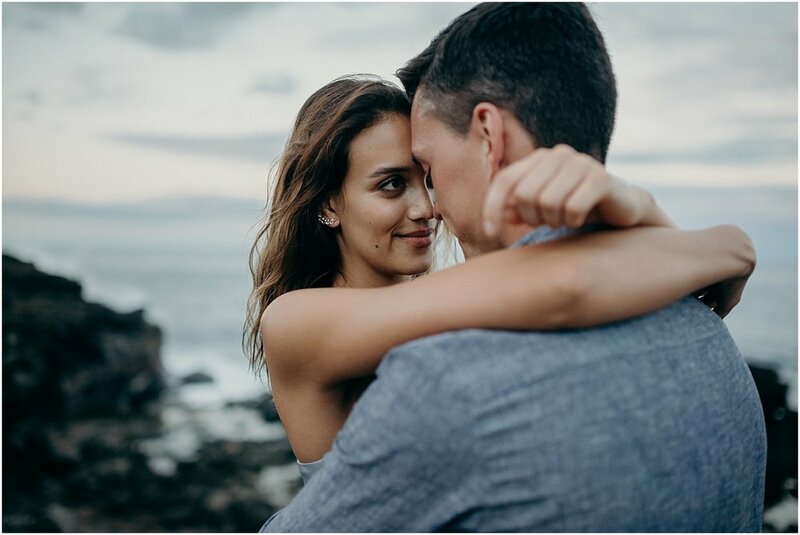 Their engagement session was super magical and I felt so lucky to be a part of such a special moment in their lives. 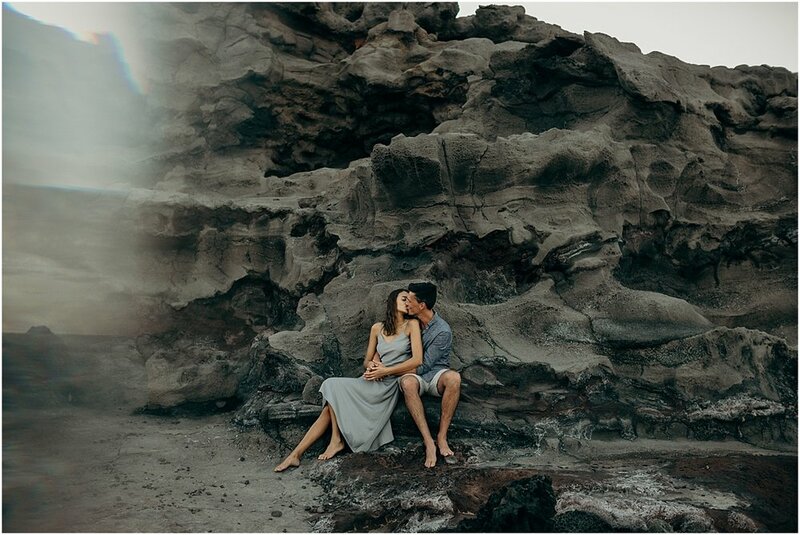 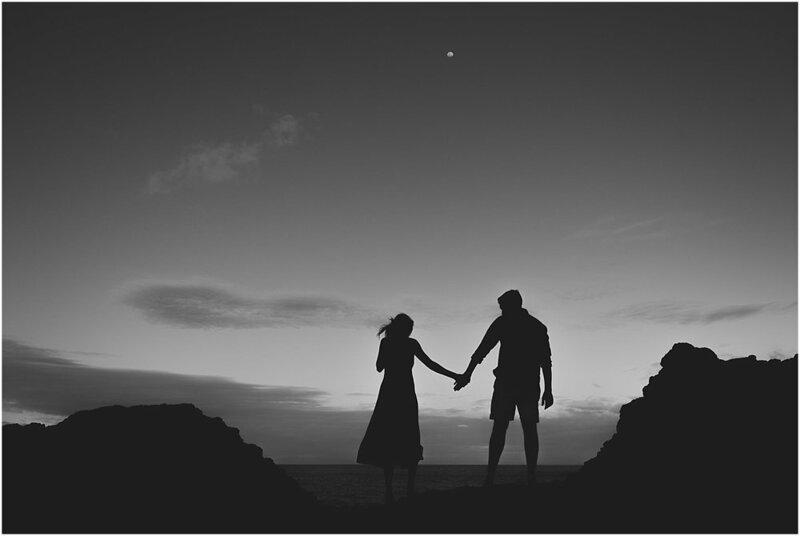 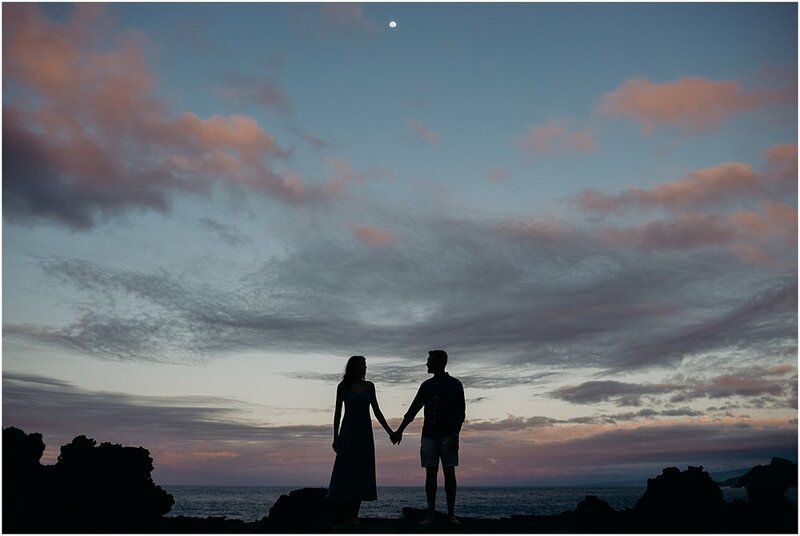 Looking for an adventurous maui engagement session at nakalele point?